Gunner's Mate 3rd Class Edward Louis Lambert, U.S.N. Official photo of Gunner's Mate 3rd Class Edward Louis Lambert, USN. 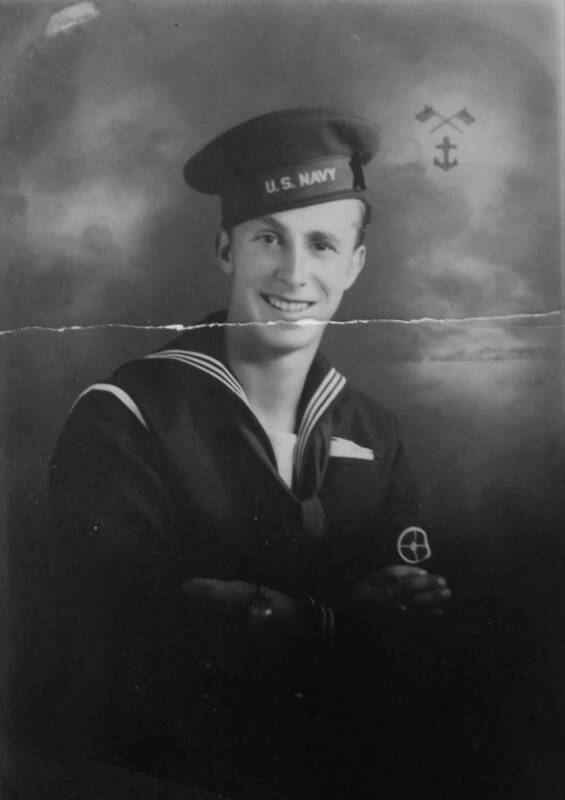 My name is Ronald Lambert, my uncle, Gunner's Mate 3rd Class Edward L. Lambert, was aboard the USS Turner when it exploded in NY harbor on Jan 3, 1944. He died of his injuries at the S. Brooklyn Naval Hospital on Jan 8. I was hoping you could add him to the list of those lost on the Turner. 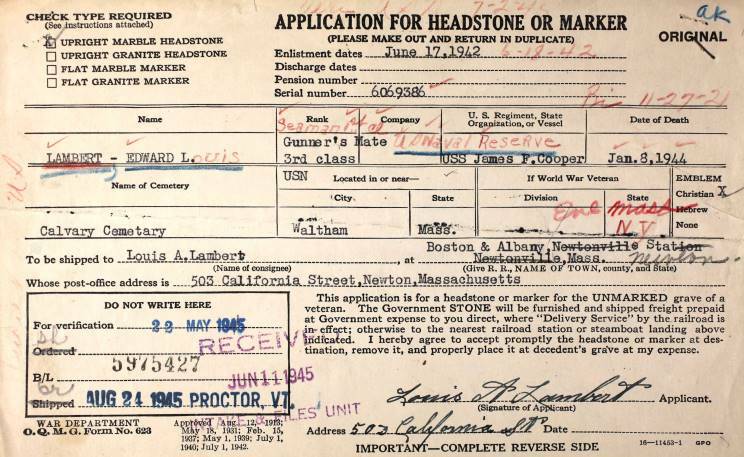 I spent a considerable amount of time going through all the papers and reports that I have about the loss of USS TURNER and was unable to find his name mentioned in any report, muster roll, casualty list or survivors list. He is not mentioned in the final report as being in TURNER or being injured during one of the explosions. It is my opinion that Lambert was one of the men who responded to the disaster following the first explosion and may have been injured in the second large explosion, which destroyed the ship. A number of other U.S. Navy, U.S. Coast Guard and other small craft had responded to TURNER. If I find any further information I will post it here. If anyone can provide any information on Mr. Lambert please email the webmaster (michael@maritimequest.com) so that I can pass this along to the family. Thank you so much for the memorial page and for updating the listing. I was able to find out some more info about Edward on Ancestry.com. I found an application for a military headstone showing below. I think you're right about him being a responder to the initial explosion. According to the application, he was a reservist who was assigned to the USS Cooper, which wasn't launched until Feb 9, 1944 by Federal Shipbuilding in Kearney, NJ. Since he was killed before the ship actually launched, I suppose he would never have been listed as a member of the crew.